Flipper is an American punk and noise rock band formed in San Francisco, California in 1979. Their slowed-down, bass-driven and heavily distorted style of punk influenced bands such as The Melvins and Nirvana. The band was named by lead singer Ricky Williams who was fired before the band ever recorded a song. They also has this very familiar looking logo. 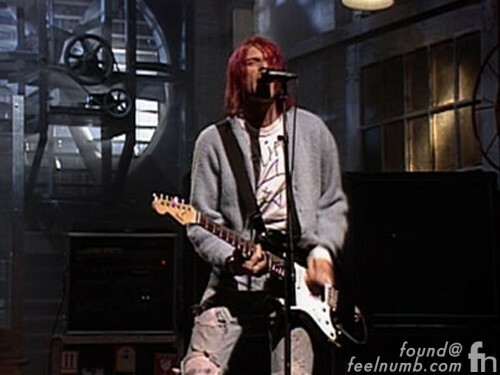 The band logo was made famous when Kurt Cobain made a “do it yourself” Flipper shirt backstage at Saturday Night Live when Nirvana performed on SNL for the first time on January 11, 1992. 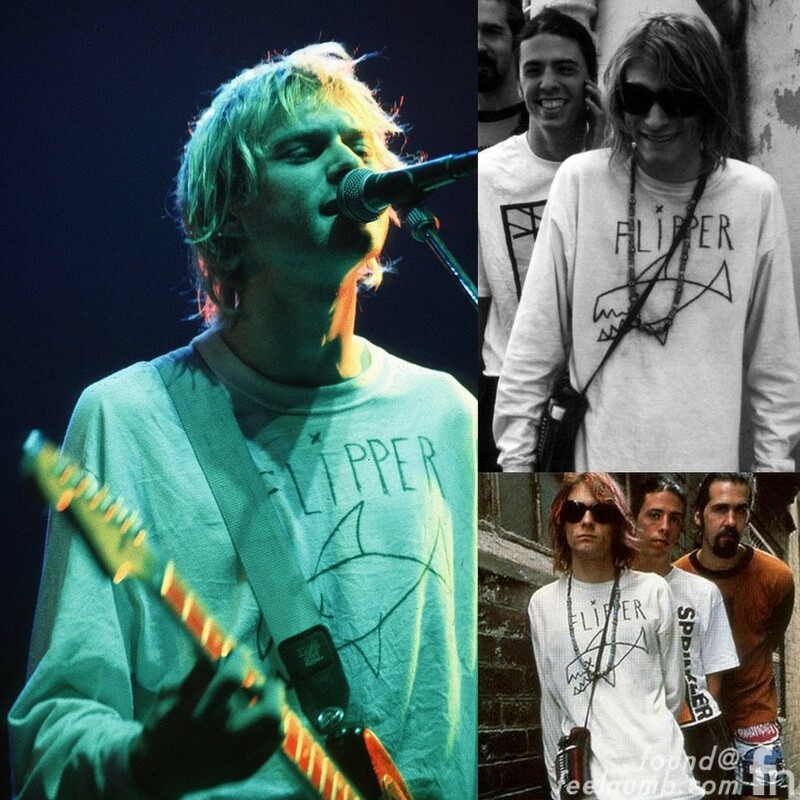 Since Cobain made the Flipper logo himself it was a bit different from the “original” Flipper logo the band used. The “Cobain Flipper” became the popular logo because he continued to wear the Shapie’d shirt in concerts, in the “Come As You Are” music video and in photo shoots for the Nirvana “In Utero” album. Just because of a white tee-shirt and a marker the two bands are now forever linked. In 2000, Flipper covered the song “Scentless Apprentice” for a Nirvana tribute album and in 2006 Cobain’s former Nirvana bandmate Krist Novoselic toured and played bass with the band until 2009. 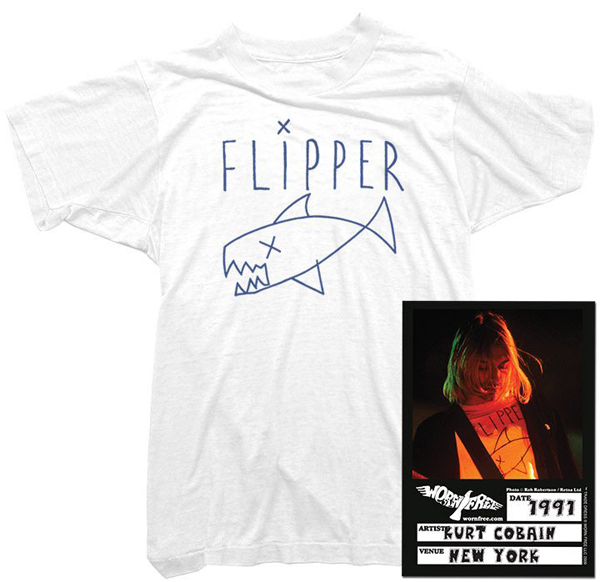 Just like Kurt’s, there are many bootleg versions of the Flipper shirt but if you want to own a high quality, officially licensed “Cobain Flipper” tee complete with a backstage pass hangtag click the link below.